It is common for parents to start looking for good schools when a child is almost six years old and one of the most important criteria for them is the school’s rating on the Unified National Test. Standardized test provides the indication of how students perform in school, however it doesn’t tell the whole story. The test scores doesn’t show the progress of the students, doesn’t provide information whether the learning takes place and doesn’t specify the richness of the curriculum. However, the majority of our population strongly believes and sends their children to the schools with high scores on UNT. The initial goal of UNT was to eliminate corruption, though the launching of this system did not solve the problem. Parents, principals and teachers found different ways to help their students to receive high results. High income family bribed the officials who were responsible for safeguarding the national test. When my niece graduated the school in 2006 her classmate who was a lower achiever received the highest result in the country. This happened because parents cared too much about their child’s future, by purchasing answers for the test. This unfair way of assessment provides inequality while entering the university which controversy to the initial goal of the UNT. Moreover, a lot of students suffer morally, some graduates loss self-esteem, faith and motivation or even commit a suicide. Principals and teachers are engaged in various kinds of cheating to raise their status. This happens due to a huge pressure educational stakeholders are facing to ensure that test scores consistently are growing. From my practical experience as a teacher I can state that this inadequate way of cheating is completely true and there is no alternative way to resolve. Administration is conscious about dishonest system which helps to receive intended outcomes; therefore the final numbers ministries provide us are not reliable. My view can be supported by the outcome of external assessment PISA, where Kazakhstani students received the lowest scores almost in every subject. Taking into consideration the PISA’s result it can be assumed that the assessment reform didn’t achieve its initial goals to minimize the corruption. However, the idea of including those for whom Kazakh or Russian is not their native language is the first step towards the increasing the importance of a state language. Taking into account teaching experience and as a parent there are some alternative ways of changing the system can be suggested. For example, to include a creativity subject in the curriculum as an obligatory subject beginning from grade one to six which will increase the ability of students to think out of box. Of course creativeness cannot be measured by simple test; however this will help students to raise their cognitive skills and better oriented in the labor market. 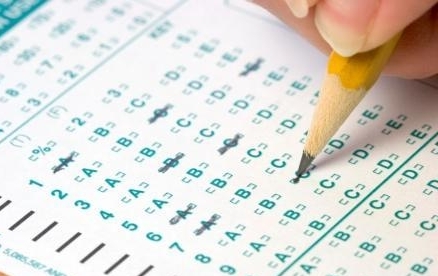 It could be suggested to abolish the standardized test further and instead to have oral examinations which will be conducted in the fifth, ninth and eleventh grades and include passing of Kazakh language every year for each school. Usually teachers’ experience, voices are not considered while implementing the reform, therefore it is mandatory that teachers together with policy makers should take part in creating the school leaving exams. The questions should be open-ended to elicit and reveal the real knowledge of the students. Because no points are given to students who knows the algorithm of solving the task but who makes an error in calculation at the end. The passing exams on each subject should also be considered, because as per my understanding every subject is valuable. Assessment system showed that testing system lacks reliability, validity, fitness to purpose and moreover it has problems of misconduct, limits the study of certain subject and fails to promote higher cognitive skills. That’s why nowadays educational stakeholders are discussing about the modification of national testing which considered to be held three times after the primary, secondary and specialized schools. Thanks for your insightful and well-researched post. As I have had a chance to work with Grade 11 students, I do understand and support all your concerns about the UNT. From a teacher perspective I can add that students at high school mainly focus on the core subjects of the UNT. Their motivation to learn other disciplines fell dramatically. A share of practical and laboratory work in science reduced quite sharply, as the UNT did not check the skills in implementation of experimental work. Moreover, it seeks to assess the academic results (knowledge and skills) in a particular subject. Higher level educational results (critical thinking, creative skills, competencies, research abilities, etc.) are not valued under this system. There are even cases when some students chose externship, where they study the high school curriculum (grade 10 and 11) during one year, and then use another year to get ready for the UNT by attending special preparatory courses or using private tutors’ services. That in turn, may improve the final UNT scores and hence chances for better placement. Athought the main idea of introduction of the UNT was to increase accessibility and equaity of higher education, it has created inequality among the school graduates.